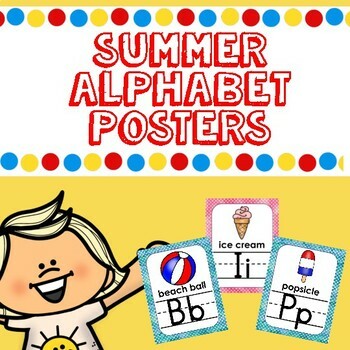 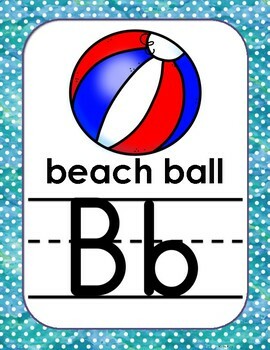 Summer themed alphabet posters to add some seasonal decor to your classroom. 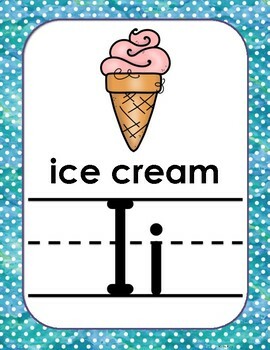 All pictures are labeled so also a great support for early writers during the summer months to add details to writing. 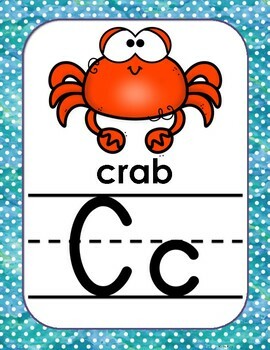 All posters are in blue but vowels are also included in red to help students easily recognize them.